There are a ton of progression paths and customization options in Anthem for both your Javelin and your pilot. Although it might seem like there's one major progression system for your Javelin exosuit in Anthem, you can also level up your playable pilot character. In this Anthem progression guide, we'll be explaining everything there is to know about how to level up your pilot and Javelin in BioWare's new game. If you instead however need any information on the base game of Anthem, you’ll want to check out our Anthem guides hub. Here you can find a full story primer for the game ahead, as well as an extensive breakdown of all four available Javelin classes in the game. You start out Anthem with a pretty basic pilot, kicking your journey off from pilot level 1. This level of your pilot is entirely separate from your Javelin exosuit, and you can actually purchase abilities for your pilot, that can then apply immediately to any Javelin that they use. For example, you can obtain abilities for your pilot that increases the time your Javelin can fly for before it overheats. As for your Javelin exosuit in Anthem, there are a ton of customization options available to you. 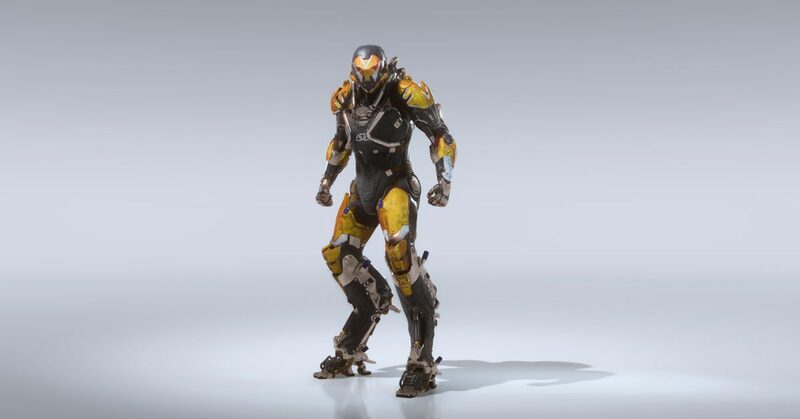 There are four Javelin type in Anthem: Ranger, Colossus, Interceptor, and Storm, and all four of them have exclusive gear that you can obtain over the course of the game. There’s also a ton of component that you can equip to your exosuit, some of which might reduce the cooldown of your flying ability, for example, or increase your damage output from the exosuit. Aside from gear options, you can kit your Javelin out with a vast number of weapons and other abilities. In the video from Arekkz below, there’s a complete breakdown of the type of gear you can obtain. For example with the Colossus Javelin class, you can customize your shoulder-mounted mortar launcher to fire different types of rounds, for example incendiary or acidic, and you can also equip different types of flamethrowers. Each of your Javelins in Anthem is going to have a ‘Gear Score.’ This Gear Score is basically the combined level of all your Javelin’s equipments, and it’s this level that’s going to determine whether you can gain access to endgame activities and missions. Think Destiny’s power level, which is a single level determined from the values of your equipped weapons and armor items. But how do loot items work in Anthem? For every mission you complete, you’ll always have a certain chance of obtaining a brand new piece of gear. Whether the new gear item is more powerful than you’ve already got depends on the type of mission you’re completing. For example if you’re undertaking a more complex Stronghold challenge with three of your friends by your side, you’ll have a better chance at obtaining a more powerful weapon for your Javelin, for example. As of right now, this is absolutely everything you need to know about the way that progression and loot gains work in Anthem. For now, you can head over to either our Anthem Colossus Javelin guide, or our Anthem PC system requirements guide for more.